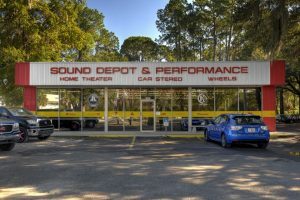 A lot of clients come to Sound Depot and Performance in Gainesville, Florida, in search of remote starts or security systems for their vehicles. We have partnered with Compustar and their unique approach to building convenience systems that fit our customers’ needs perfectly. Let’s look at how they do it. 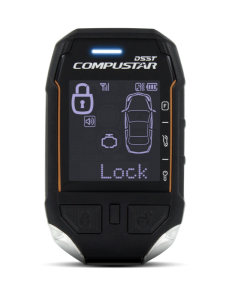 Compustar systems are sold “a la carte.” You choose from security, remote starter or a combination system, then add the remote control that best suits your application. All of the systems have proven themselves time and time again regarding reliability and seamless operation in modern computer-controlled vehicles. Compustar offers many different remote control options, from simple one-way single-button remotes to an amazing 3-mile range remote that offers two-way communication with your vehicle. Here are some of the remote kits we offer. Prime 1Bam: This is a single-button one-way remote with 800 feet of range. It’s a great solution for an easy-to-use remote start system. Prime G6: The prime G6 is a four-button remote with clearly labeled lock, unlock, remote start and trunk release buttons. 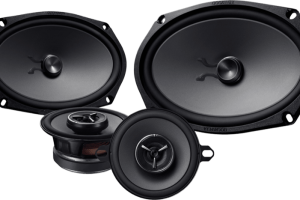 It offers up to 1,000 feet of range. Slice JR: This two-way remote features up to 2,500 feet of range and includes LED confirmation of arming and starting functions. Pro 902: The two-way Pro 902 offers an impressive 2,500 feet of range and features five buttons to provide easy control over remote start and convenience features. Pro T-11: Featuring an awe-inspiring 3 miles of range, two-way communication with an easy-to-understand LCD screen and a full IPX7 waterproof rating, this is the toughest go-anywhere, do-anything remote on the market. Compustar leads the industry with amazing cellular communication and tracking, thanks to their DroneMobile system. DroneMobile installs in your vehicle and uses cellular communication to let you control locking, unlocking, remote starting and more from your Android or Apple smartphone. You will receive instant alerts if your alarm goes off, and you have the option of checking the vehicle battery voltage and internal temperature. 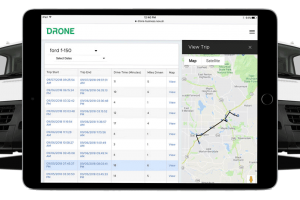 DroneMobile features GPS locating, so you can see exactly where your car is on a map at the push of a button. The intelligent interface allows you to set up proximity warnings should the car enter or leave a preset geographic area. Compustar packages the DroneMobile with security, remote start or a combination system in their Alarm It, Start It and Max It packages. Compustar has some amazing add-on technologies. Their EZ-GO hands-free system unlocks your car when you walk up to it, then locks it again when you walk away. No need to fumble in your pocket or purse for your keys. 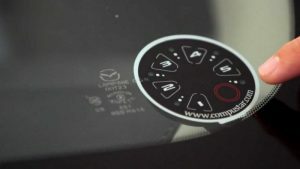 The RPS-Touch turns your windshield into a smartphone keypad. To unlock your car, just type in a predetermined number sequence and your car will unlock instantly. 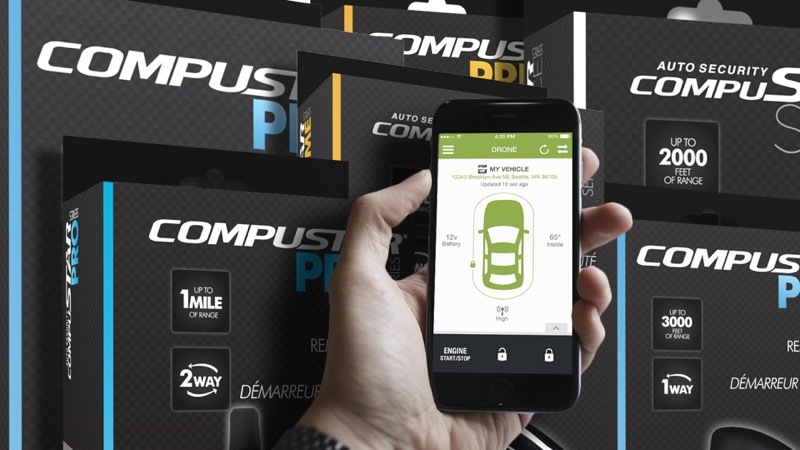 When it comes to integrating security and remote starter systems with modern vehicles, Compustar offers the premium features we need to make sure everything works just like it came from the factory. 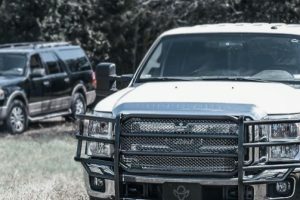 Our team of expert technicians takes the time to ensure each and every wire connection is perfect – electrically and mechanically. This ensures perfect reliability, each and every time. If you are looking for the ultimate remote starter to cool off your car or security system to keep your vehicle safe, then drop into Sound Depot and Performance today. We’d be happy to show you all the available options for your vehicle. For more information, contact us here.